Broken Bow recording artist Jackie Lee has been around country music nearly his entire life. At just six years old he was hanging around Nashville recording studios, now some seventeen years later he’s finishing up his debut album. His first single, “She Does” is one of our favorite tracks on radio right now and Lee’s soulful vocals all but ensure a strong career ahead of him. We chatted with Lee this week about his debut single, what to expect in 2015, and what it was like to sing the National Anthem before a Green Bay Packers game earlier this year. You have a single out right now called “She Does” which is one of our favorite songs, what can you tell us about the story behind the song? So told the label not even a day later, and within a month we were cutting it for my debut record. It’s written by two of my favorite songwriters, Kelly Lovelace and Neil Thrasher who have penned some pretty big songs over the last ten years. It was a cool dynamic and I’m super thankful to have gotten the song in the first place and I love the way we cut it! Definitely. Is that song a part of an EP, a full length record, what’s coming next? When we went in to do this thing we cut a full album. I guess that makes us kind of old school, because a lot of people are cutting four or five songs nowadays. I don’t know when it’s coming, and that’s the truth. I’d love to say April, but it all depends on the popularity of “She Does.” We’ll probably put out another single before the album drops, but if not summer definitely by the fall of this year. But definitely this calendar year? Yeah my debut album will be out for sure this year and that you can quote me on. Well that’s great to hear. You guys did some radio tour stuff this past year correct? Yeah we started in June of last year and went all the way through to the break. I think our last show of the year was December 21. So from June to September we were on a bus and it was nonstop. At one point it was two and half months straight without seeing Nashville. It was the time of my life. Getting to see the country was definitely really cool. Are you planning on doing more radio stuff this year or can we expect to see you at festivals and dates like that? I think we’re just trying to find the right transition. Of course we want to get out there and play live music, that’s why we all get into this business. But right now, I’m knee deep in the radio stuff. So we’re doing as much of that as possible. That’s just where we’re at as a team right now. Just doing the radio thing. I think making those relationships is really cool. You have to form those relationships and making sure they support you and your music. Not to go too far back, but football used to be a pretty big part of your life, but you moved away from it to pursue music full time right? Yeah, where I grew up football was a big deal. You either played football or weren’t cool. Half the school played football just to try to be cool, so it was a big deal trying to sort that out in my mind at the time. Music was something I had done my entire life and everyone knew I did music, but in the same breath I played football. I got to start on the varsity team sophomore year, and I was sitting in class one day thinking about all this stuff and that’s when it hit me: “Music’s my life.” Looking back I probably didn’t have to quit football to be here, I probably would have been fine if I continued to play. But I had this urgency in my mind that I had to get going on music now. So I went to my parents and told them I wanted to quit, which was hard because they had never let me quit anything. Thankfully, they understood and let me quit and here we are. You were high school football teammates for a couple years with Green Bay Packers wide receiver Randall Cobb and a couple weeks ago you got to sing the national anthem before a game up there, what was that like? That was one of the biggest adrenaline rushes I’ve had in my entire life. I was walking off the field and I go to my manager, “I feel like I just ran a marathon.” It was really cool because in my mind it was like a movie, they had just done player introductions and all the Packers were standing on the 50 yard line. I was starting in the middle of the field, but it was more like the 30 yard line and so the Packers are starting to run off the field as I’m going out to sing the anthem. All this is happening and Randall just emerges from the group of Packers and he runs over to me and gives me a hug like thirty seconds before I’m about to sing the anthem. So yeah that day was cool as can be. 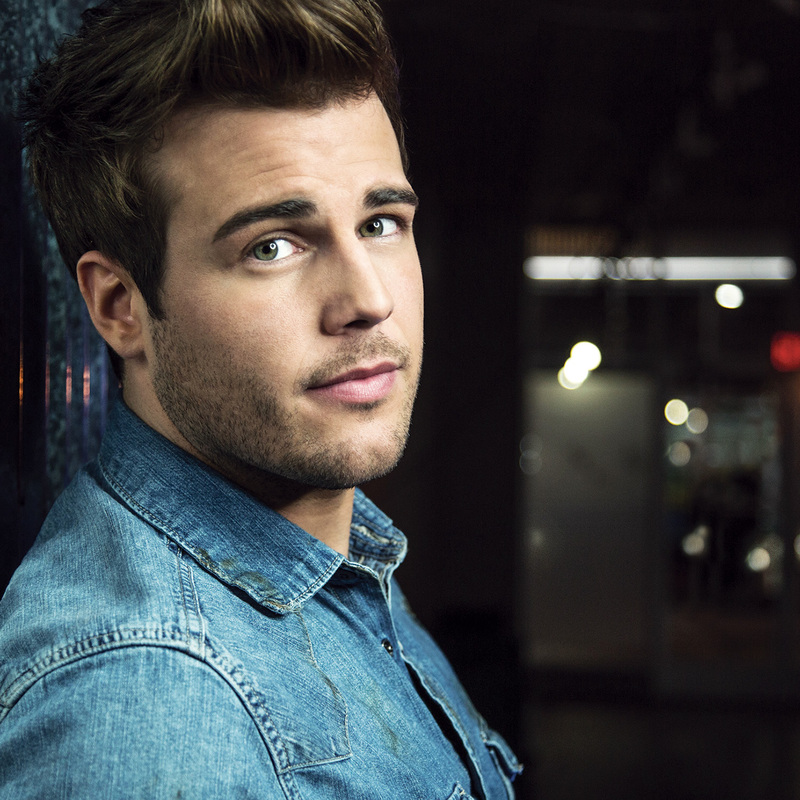 We’d like to thank Jackie Lee for taking the time to talk with us, and wish him the best of luck with his new album and the rest of his career. Check out Jackie on Twitter, Instagram, Facebook, or his official website. His debut single, “She Does” is available now on iTunes.